My project for the day was to clean up the garage - several recent repairs/projects have left it a bit of a mess, and I’ve accumulated some stuff that needed to get cleared out. 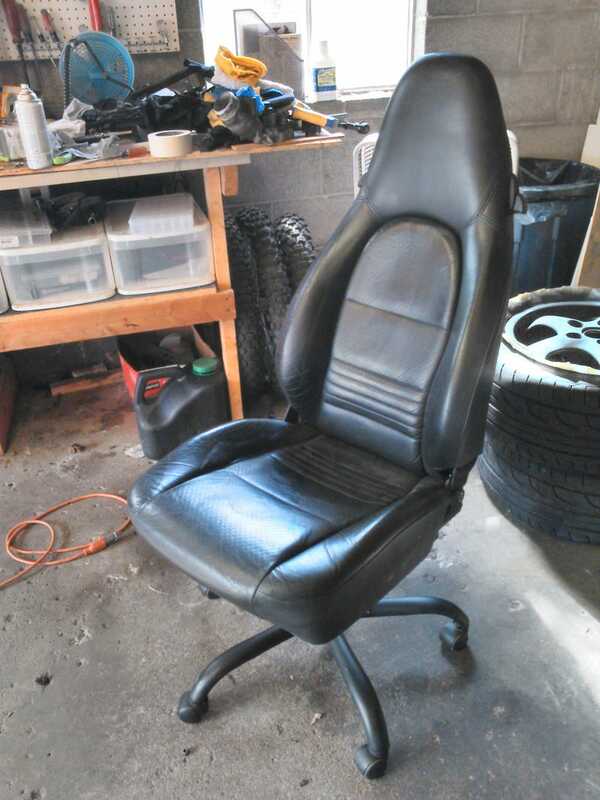 Two of the things taking up space in my garage were a broken desk chair and an old Boxster seat that I got in a Craigslist trade forever ago. About an hour with a grinder, MIG welder, and some square tube from my scraps pile, and this is the result I may just bring it into my office and use it as a desk chair, it’s pretty dang comfortable.